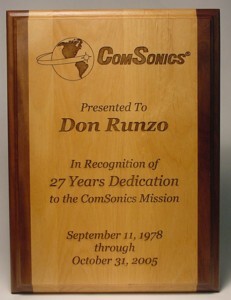 These solid wood plaques are gorgeous when laser engraved with your personalized words and logo showing off the fine details of your artwork. 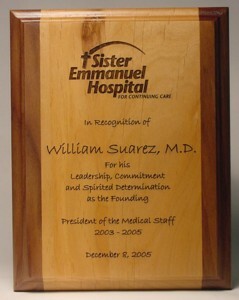 Made from solid American Red Alder, each plaque is grain matched for consistency and has a clear lacquer coating on the front and back. 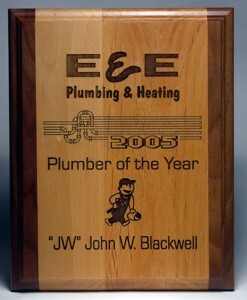 The light colored wood engraves dark brown. 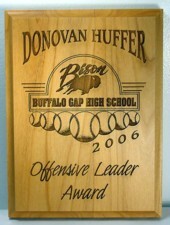 These plaques are available in 6 sizes and can be hung either horizontally or vertically. Be sure to specify which way it will hang when ordering yours! 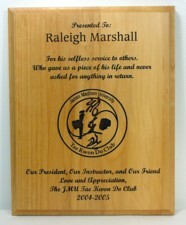 These Walnut edge plaques with Red Alder centers are made from solid American Red Alder AND Genuine Walnut, each plaque is grain matched for consistency and has a clear lacquer coating on the front and back. 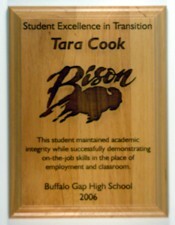 The light colored wood engraves dark brown. 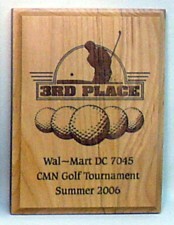 These plaques are available in 4 sizes and can be hung either horizontally or vertically. Be sure to specify which way when ordering yours!